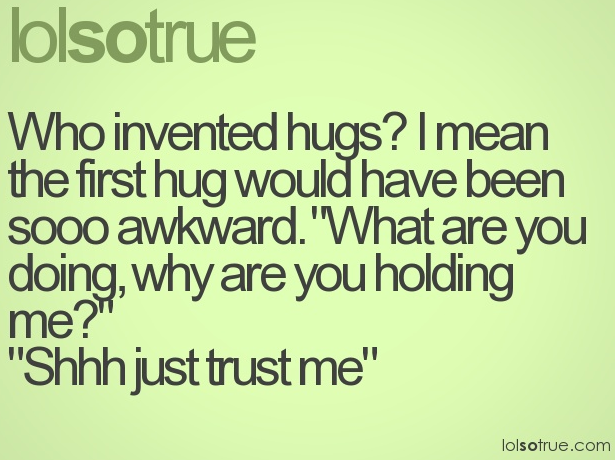 Have you ever thought about who invented hugs? Do you think it would have been awkward or was it just a natural action? 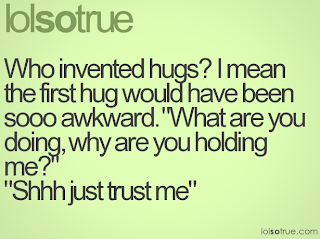 Hugging is one of those things that if you really think about it, it becomes weird. However weird or not, it is something we do everyday and to all different people in our lives from our Grandma to our best friend. But overall, don't you think there is some truth to this image?